From a survey carried out on a group of children between 4 and 6 months to two different kinds of music listening, it appeared that most musical harmony was perfect, the greater was the calm and tranquility, serenity and attention. The executions were dissonant instead accompanied by nervousness, irritation and tears. And 'yet another proof that at birth the human brain accentuates his state of well-being under the influence of harmonious music. 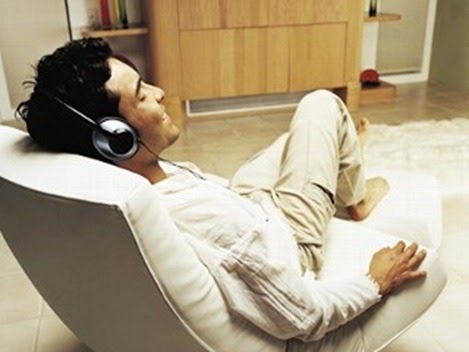 If we were to stop our active day and working with two brief periods (10-15 minutes) dedicated to listening to special music (see https://play.google.com/store/apps/details?id=chromotherapy.app) , accompanied with simple breathing exercises and mental, will be able to accept us better and better accept others, stress levels much lower and acceptable. The music helps to eliminate progressively nervousness, anxiety, anxiety, psychosomatic difficulties such as headaches, muscle fatigue. The music is directed directly to the body, the senses, the spirit. 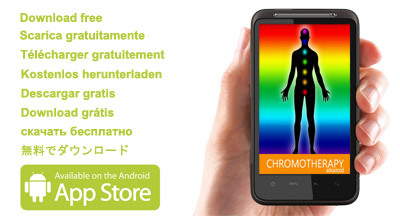 The music found in the app for smartphone "Relax for everyone" (https://play.google.com/store/apps/details?id=chromotherapy.app) are essential elements for combat stress. Stress can be defined as an intense emotional reaction to external stimuli that set in motion physiological responses. In this response, the autonomic nervous system acts through nerve stimulation of the adrenal medulla that immediately puts into circulation a rush of adrenaline and noradrenaline. These catecholamines produces an increase in heart rate, blood pressure, breathing rate, ie alter the balance of the pace of some vital functions. Thus began the descent to the discomfort that gets worse day by day because there is always more fragile and vulnerable. Listening to a music appropriate, accompanied by a series of breathing exercises, has the power to slow down some vital rhythm, with the result of improving the perception of our body. In this process, a new sense of inner security, which facilitates interpersonal communication. The music is a dynamic structure that allows you to stimulate, use and control the flow of images that develop during playback. The music has a strong symbolic charge. The state of stress is amplified by those forms of anxiety that we take when we are plagued by a thought repetitive, circular, closed, from which we do not find a way out, we're unable to implement a change. The music, with its dynamic structure and its ability to overcome the logic and rationality, break this vicious circle and distressing, because it sets in motion the unconscious energies of fantasy and imagination. To better address the focus on the music and the inner life, you need to focus for a few minutes on the body and breath. Close your eyes, breathe slowly and deeply. At first just listen to your breath, following the rhythm and sound. Look to see that the air enters and leaves the nostrils. When the breathing became regular, try to sense the amount of tension out of the body in every exhalation. Being aware of expelling the voltage across the breath. At this point, play music and have employed a form of image to the problem at the moment seems to be the trigger for the stressful situation. If the desire for change is strong and you want something to happen again, displayed at all or even one of that particular something new. If you are not able to see the ocean, display a shell that will connect with the sea. Try to make something happen again mentally. Do not forget to check every now and then your breath, because it is slow and steady. Do not try to understand or find the logical links. It must be totally disconnected from the mind, because it will be music to lead where to go. When the music stops, enjoy the silence and try to capture the vibrations of the body. Here's the secret of how to fall asleep right away. It seems incredible, but now our inseparable smartphone comes in handy for getting to sleep. Here is how to fall asleep right away, thanks to a new app for Android smartphones that found on Google Play you can find the right quiet to get to sleep quickly. Stop insomnia, just staring eyes looking at the ceiling looking for a good time to get to sleep. The sounds, the melodies present in the app "Relax for everyone" knows no limits of age: infants, children, adults or seniors can benefit from this fantastic application that leads to the immediate attainment of the correct state of mind to face a good night's sleep. The app over the sounds and melodies provides images and colors, exercises to correct breathing, binaural sounds and many tips to choose the correct color for our needs and recommendations for the selection and preparation of excellent relaxing herbal teas. A true spa enclosed in an app for all smartphones on the market today. This app works both on devices older than those of the last generation, from smartphones to tablets, in short, it works just about everyone, but really all devices with Android system.